Thai legislation is relatively clear. Foreign ownership of land is generally not allowed but houses and condominiums can be fully owned by foreign nationals or companies. Creating a company for land ownership alone is prohibited regardless of what some dishonest players may say. Getting some basic knowledge is a good advice for anyone who plan to get a home in Thailand. To help you get some insight about Thai property law, we have summarized some legal basics below regarding "Land", "House" and "Condominium" in Thailand. For your peace of mind it is important to know that ERA Oakfield Thailand always complies with current legislation. This may seem obvious but in reality some domestic and foreign firms and individuals just relate to their own assumptions, local practices or simply disregard existing laws. This will you notice if you have contact with brokers, projects, lawyers, black brokers etc. Be careful is a good advice. In general may foreign individuals and companies not own land in Thailand. What you can do as a foreigner is to lease land. Such lease right is registered with the governmental Land Office and runs for periods of maximum 30 years. 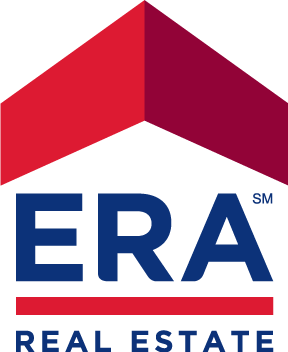 Houses brokered by ERA Oakfield also has a civilian lease agreement in addition to the official registration at "Land Office". It gives you as a leaeholder further reinforced and extended protection. Among other things, you are entitled to sell, give away your lease right, the lease fee is regulated, etc. All sales of leases where ERA Oakfield Thailand is a responsible broker contain this security. A common construction for getting around the laws of land ownership is to form a company. The solution is that you with Thai nominee owners form a company that buys the actual land or property. However, this procedure is illegal if the company itself is not a real operating business. This procedure is recommended by many individuals involved in the real estate market in Thailand but we strongly advise against arrangements like that. Unlike Sweden and other western countries, not all land in Thailand is exactly measured nor have an established ownership conditions. Since the quality of land survey data varies there is number of different “title deed” classes. The class have their own set of regulations and can be tricky navigating. The class affect the market value a great deal so caution is in place. The best, and only type ERA Oakfield broker to Thai buyers is called “Chanote Tee Dinn”. It is allowed for foreigners to own a house. This makes it as possible and completely legal for a foreigner to own a house while lease the land upon where it is. This usually applies to new productions in projects. Condominiums in Thailand are allowed for foreign freehold ownership. One big advantage compared to some western countries is that there is no commonly owned condominium company whose economy can affect your accommodation. One aspect to be aware of is the condominium buildings foreign ownership ratio. In most condominium juristic persons throughout Thailand a maximum of 49% of the condominium floor area can be owned by foreigners. Part of the process of a condominium purchase relates to the transfer of the funds. The entire amount must come from a foreign source and this must be substantiated when registering the ownership documents. Documentation from the legal entity of the condominium building is also required. That include foreign ownership ratio and debt free certification. The process of collecting all documentation as well as registration and the necessary checks is performed by us. This applies to both sellers and buyers and you can comfortably reside in your home country during the process. It happens that sellers of condominiums hide the fact that the "condominium" is not classified as an condominium at all or try to sell you a leasehold right. Check what you are buying. All condominiums brokered by ERA Oakfield Thailand are checked and sold with full ownership documents. Please observe that the information given above is a selection of the most important things we want to bring to your knowledge. There is more to say and you are always welcome to contact us with your questions.